I started a furniture upcycling business a few months ago, and just went to Charleston, SC to give this island a much needed refinishing. 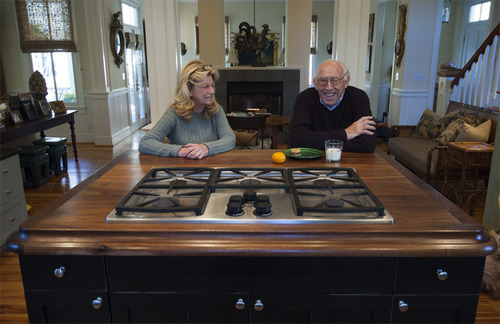 The kitchen was stunning (as you can see), but the green cabinetry was really taking over. 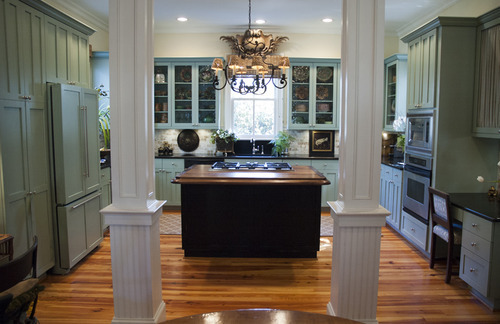 We needed to make the island a focal point that would distract from and compliment the cabinetry simultaneously. I worked with a talented local artist Austin Smith. It was definitely a two-man job! 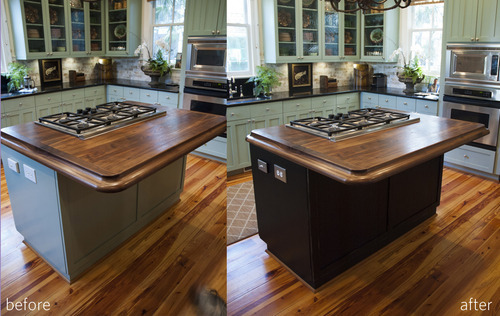 We did an antique finish and were really pleased with the results! I’m currently taking customers so email cortnac[at]gmail.com if you need something spruced up. I do most of my work in NC but I can travel—just ask! 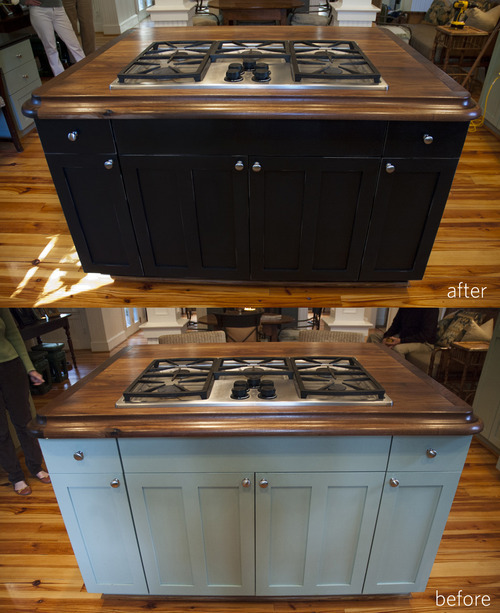 Continue for more before and after photos.